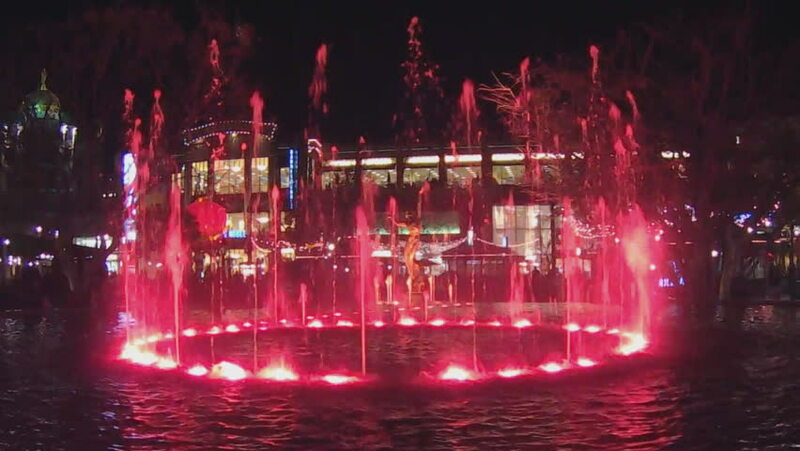 GLENDALE, CA/USA: February 21, 2016- Spurts of red water in a colorful dancing water fountain at night add to the ambiance of an outdoor shopping center. Underwater lights illuminate jets of water. hd00:09GLENDALE, CA/USA: February 21, 2016- A colorful ring of water jets dance around a golden statue of Prometheus at night. Fountains are used to enhance shopping experience at The Shops At Brand. hd00:25Data Glitch, Streaming data distortion (Loop). 4k00:25Streaming data glitch malfunction screen display (Loop). hd00:10Buffet table with glasses of delicious red wine. hd00:12MOSCOW, RUSSIA - JUN 23, 2013: Go-go dancer is dancing in Gostinyi dvor at Graduate-2013.